The weather (today at least) is sunny, and it’s not too far-fetched to suggest that spring has sprung. Cherry blossom season is over, so naturally you want to know what follows. 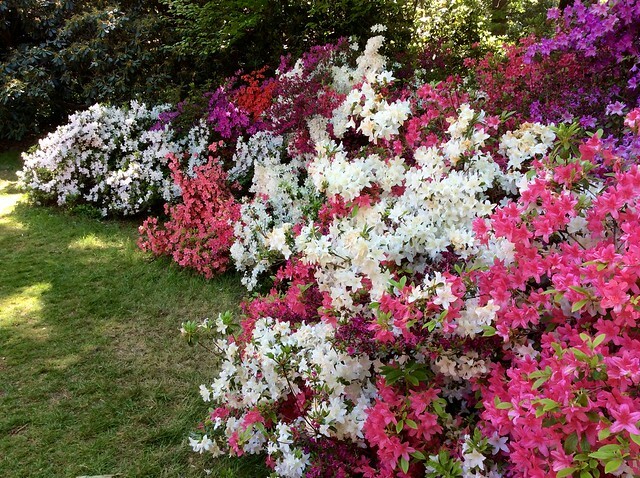 The answer is bluebells and wisteria and rhododendrons and azalea, among others. Where are you going to see them? Just read on. 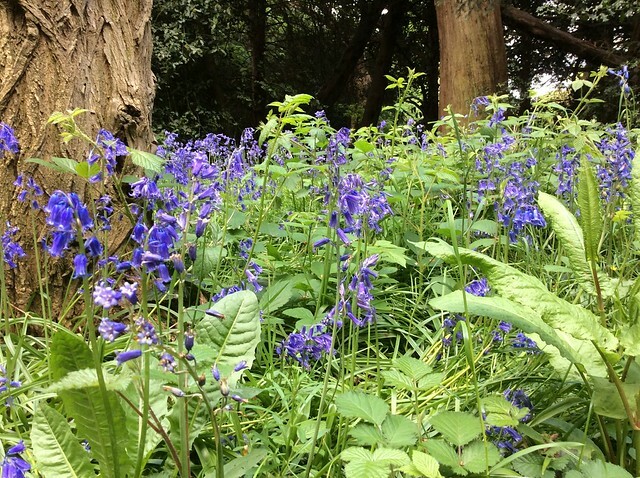 If it’s bluebells you’re after, then head for Osterley Park where at this time of year the Long Walk and Great Meadow is filled with delicate English bluebells (not the aggressive Spanish hybrids). 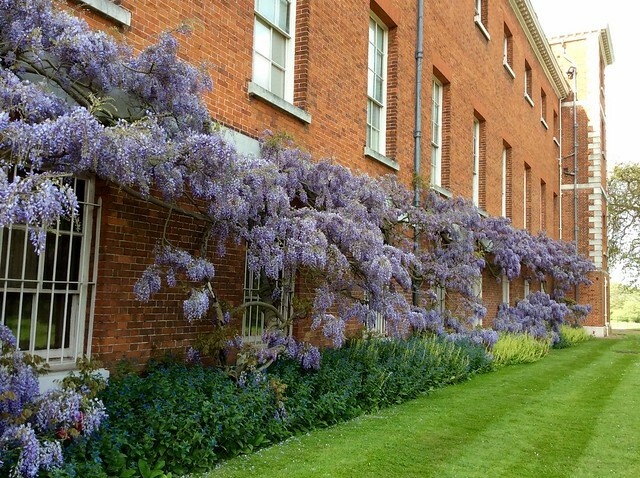 And don’t miss the magnificent wisteria that spreads along one wall of the Robert Adam house. 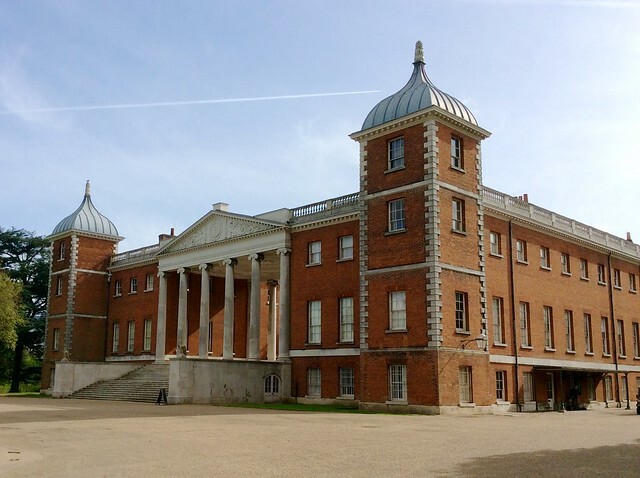 Osterley Park is a short walk from Osterley station on the Piccadilly Line and the Park is open every day. The house, run by the National Trust, is well worth a visit too. It recently featured in the television adaptation of Dr Thorne. 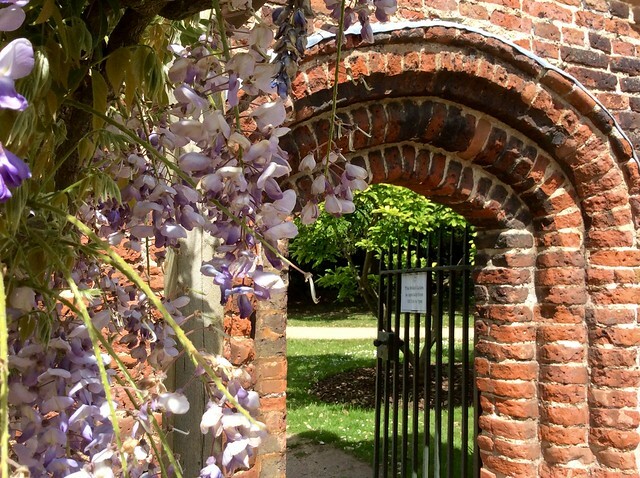 There’s more wisteria and irises at Fulham Palace, former home of the Bishops of Fulham. The knot garden, with its sixteenth century Tudor Gate, is a haven of peace, and there’s a charming cafe in the palace that looks out over the gardens. Fulham Palace is a short walk from Putney Bridge station on the District Line and the garden is open every day. A secret garden of rare white wisteria right in the centre of London – that’s St John’s Lodge Garden, on the Inner Circle of Regent’s Park, just a couple of dozen yards from the Chester Gate into Queen Mary’s Garden. It’s amazingly quiet, free to visit and is open every day. Another historic house with a beautiful garden is Kenwood House on Hampstead Heath. 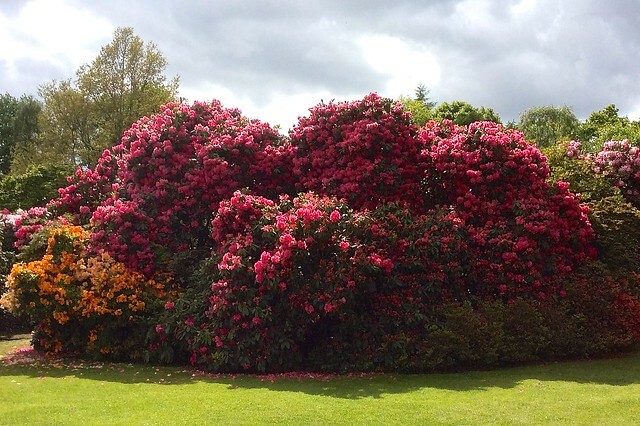 The glory of the gardens here are the rhododendrons, great towering mountains of colour densely populated with bees. The gardens are open every day all year round and Kenwood House, run by English Heritage is open daily from April to September. Entry is free. Walk up from Hampstead station on the Northern Line. The Isabella Plantation is in Richmond Park, hidden away in the depths of a wood, and is justly famous for its colourful azaleas, ranged either side of long pathways and banked to spectacular effect around the Still Pond. It’s not easy to reach by public transport – we opted for the 85 bus and a mile-long walk from the Robin Hood Gate. All these gardens are at their best in May. 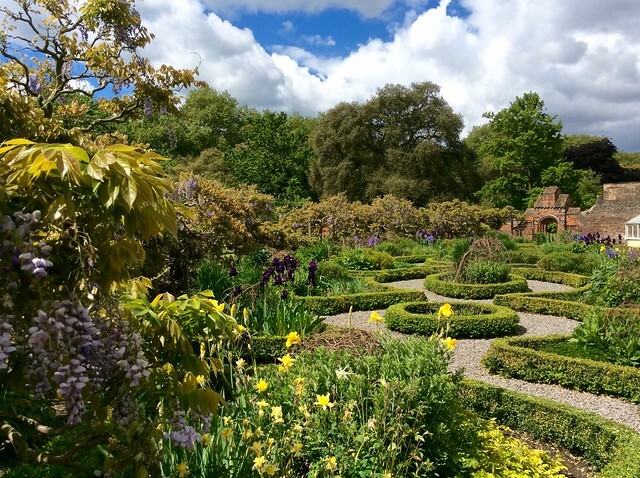 This entry was posted in Flowers and plants, Historic Houses and tagged azalea, bluebell, flowers, gardens, Isabella Plantation, Kenwood House, London, Osterley Park, rhododendron, wisteria by Fran. Bookmark the permalink. 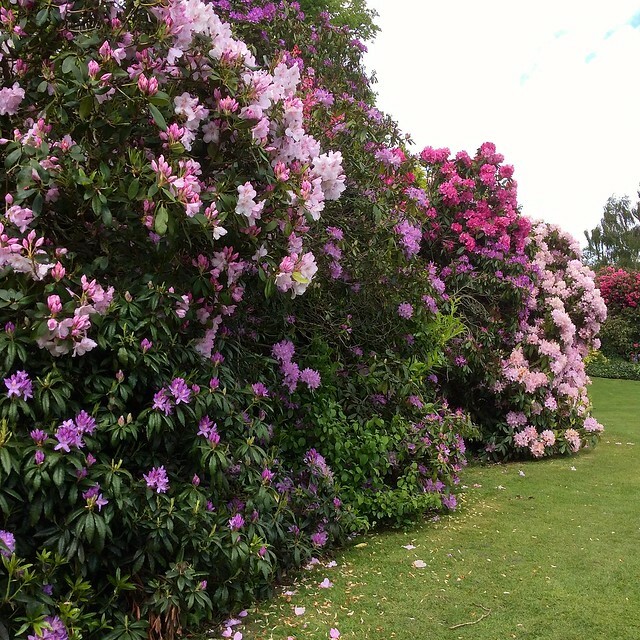 For rhododendrons I would add Dulwich park, queen Mary’s favourite. I must try and get down there. What a super post! I will probably get a National Trust membership when my English Heritage expires next year. It’s nice to see different properties. Yes – it would be nice if they did a combined membership. I visit Fulham Palace regularly and there is always something new blooming. It is a beautiful place. Must visit Isabella Planation this year. Lovely post. 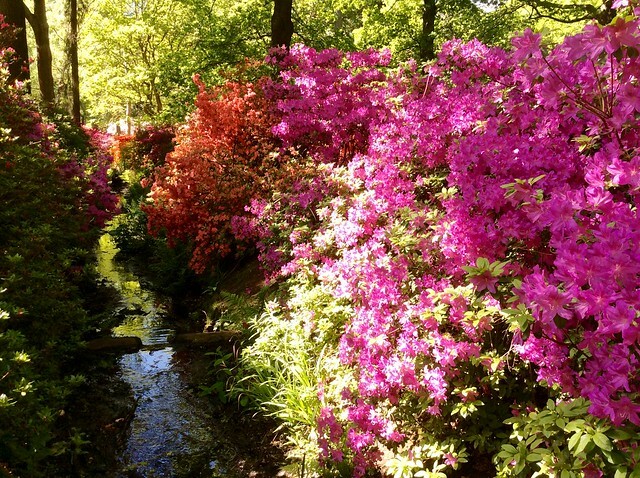 Yes, do – Isabella Plantation is amazing! I’ve been to Regents Park and Kenwood this spring but didn’t even know about Isabella Plantation. Thanks for the heads up! It’s not easy to get to, but definitely worth the trip!